The bowline knot is one of the few essential knots to know for wilderness survival, rescue, and maritime applications. The strength of this knot is unparalleled. It is at least centuries old. 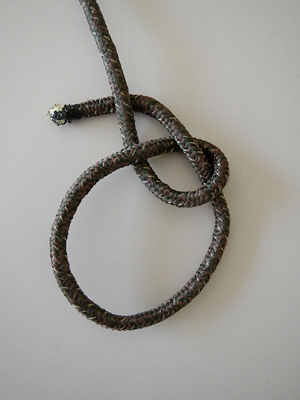 The first documentation of the bowline was found in John Smith’s 17th century journals. He claimed that the sails of his ship would break before the knot came undone. 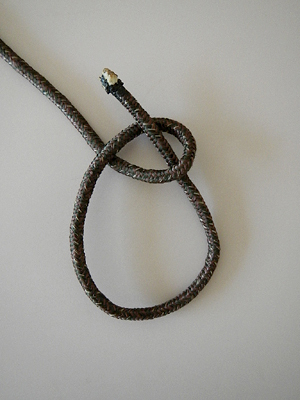 There is also rumor of the knot being used in ancient Egypt. 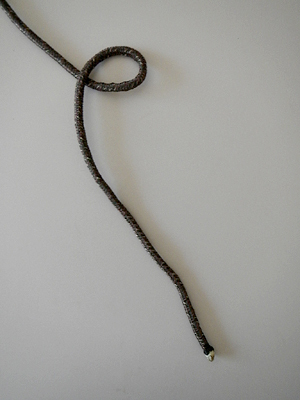 The bowline is used to create a fixed loop at the end of a rope or line. A fixed loop will not increase or decrease in size with tension or slack applied to the line. Rope may be passed around or through an object in the tying of the knot. 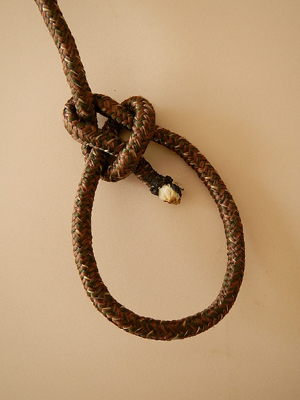 A rope will retain 60-70% of its strength at the location of the bowline. 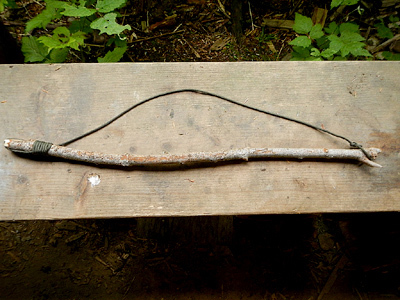 This knot is used for setting up a tarp shelter, tying a string to the bow of a bow-drill fire making kit, attaching a string to an archery bow, rescuing a person from water or a crevasse, tying up a bear bag, or any other “loopy” application. 1) “The rabbit comes out of his hole.” The hole is a loop that must be created as an overhand loop, which is made by crossing the short end of the line ABOVE the standing part. The standing part of a rope is the longer length. The rabbit is the short end, which is the short part of the rope that is used to tie the knot. This "hole" is NOT the loop that will be in the line at the end of the tying process. The loop that WILL be in the line is made by the short end moving through the overhand loop. 2) “The rabbit runs around the tree.” Remember, a tree grows up from its roots, which are underground. (This reinforces the overhand loop.) In other words, the short end runs around the standing part. 3) “The rabbit runs back down his hole.” The short end (rabbit) parallels itself as it passes back down the hole, but does not cross itself. 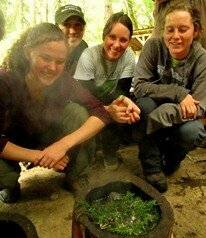 4) “The rabbit stops to watch the tree grow.” Pinch the short ends and pull the standing part to tighten the knot. The original overhand loop created in step 1 should cinch down on the rabbit. The knot is now complete! 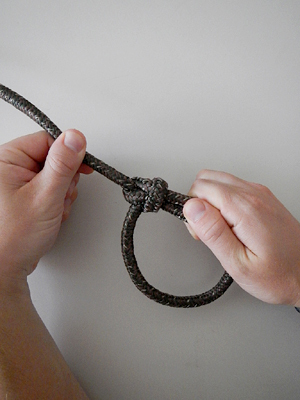 The other essential survival and rescue knots that I recommend learning, and learning well, are the square knot (a.k.a. reef knot), zeppelin knot (a.k.a. 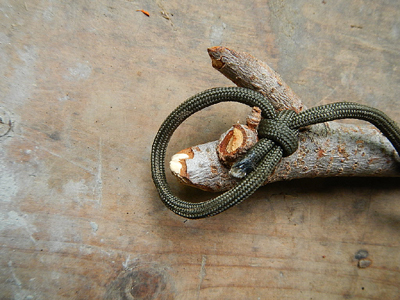 six-nine knot), taut line hitch, clove hitch, timber hitch and bowline on a bight. A knot tied improperly can be fatal, but after reading this article (and spending some time tying knots) you will have the knowledge and skill to save a life.